Considering it’s easy to earn heaps of American Airlines miles right now, I am re-posting this summary of our series that goes over all the details of how to redeem American Airlines miles. For a limited time, the Citi /AAdvantage Platinum Select MasterCard and the CitiBusiness / AAdvantage Platinum Select World MasterCard are both offering 60k bonus miles for spending $3,000 on each card within three months of opening it. The Barclaycard AAdvantage Aviator Red World Elite MasterCard is offering 40k bonus American Airlines miles after just one purchase and paying the annual fee of $95. 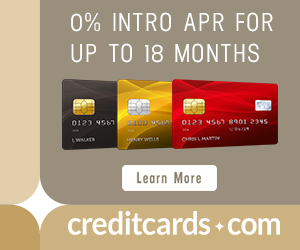 You can sign up for all three in the same nine day period (you can be approved for no more than one Citi card in an eight day period) and earn at least 166k American Airlines miles within three months after meeting the bonus requirements. If you’ve read Parts 1 through 14, congratulations! You passed Redeeming American Airlines Miles 101. You should now have the basic tools to accrue and spend tons of American Airlines to destinations all over the world. Now, let’s talk about the highlights of what we have learned. Below are key points drawn from each post in this series. I recommend reading each post individually to get a full understanding and complete details. American Airlines miles are currently one of the most valuable airline miles for economy awards because of off peak awards. During some months of the year, your favorite destination can cost up to a 1/4 fewer miles to travel to. It also only costs 7,500 miles to fly America Airlines anywhere in the Contiguous 48 U.S. states & Canada that is (≤ 500 miles) away. However, First Class awards took the biggest hit with American Airlines’ devaluation. So if you can, look to use Alaska miles, Korean miles, or Singapore miles instead for First Class awards. Air Tahiti Nui and Gulf Air award space is searchable on Expert Flyer. Jet Airways and Seaborne award space is only searchable by calling American Airlines. 1. Premium cabin awards that originate in the United Kingdom are the most expensive. Avoid those–see List of Award Taxes from Major Cities in Europe so you can plan a return to the US from a low tax country. 2. American Airlines only collects fuel surcharges on award flights operated by British Airways (outrageously expensive) and Iberia (can be reasonable). 3. 21 is the magic number. There is a $75 fee to book an award within 21 days of departure or to change departure date to a date less than 21 days away. Both fees are waived for elites. However there is no fee to change the date of an award more than 21 days in advance. Domestically, American Airlines miles can be redeemed on American Airlines and Alaska Airlines flights. Award space on both airlines is searchable on aa.com. American miles can book all the exact same award space that Alaska opens up to its own members at the Saver level. As of September 1, 2015, American Airlines miles cannot book Hawaiian Airlines flights between the mainland and Hawaii. AA miles can still book interisland flights on Hawaiian and flights between Hawaii and Asia, Australia, and New Zealand. Award space to Hawaii is highly seasonal on all airlines, and it lines up well with American’s Off Peak dates (which have cheaper award prices). Business and First Class awards from the United States to Japan and Korea, in terms of duration and partner product (Japan Airlines), have the best value on the new American Airlines award chart. Prior to their devaluation, American’s under-pricing of awards to Southeast Asia relative to its competitors was one of the main reasons that American miles were the best miles to Southeast Asia. Now I recommend using Alaska miles instead if you have them, because you can book awards to Asia at the same prices American had pre-devaluation. Cathay Pacific premium cabin award space, which is useful to China and Southeast Asia, is widely available 11 months out and within a week of departure. Japan Airlines Business Class award space is available on all its routes if you have date flexibility. American’s own flights have good economy award space, but Business and First Class are spotty unless you can book far ahead of time or within a few days of departure. American is not the leader to the Middle East and India because of its pricing as much as its partners. American partners with two of the big three Middle Eastern carriers, Etihad and Qatar. Add in the other Middle Eastern and Indian partners, and American really has a lock on the region (i.e. the best award space to the Middle East and Indian Subcontinent by far). I find award space to be excellent on Etihad. This is my go-to airline when I am looking for award space for MileValue Award Booking Service clients to the Middle East and India. With flexibility, you can find two seats in any cabin. In my experience, Qatar award space is not as strong as Etihad award space. American Airlines miles have access to incredible economy award space to Australia and New Zealand flying Qantas and American Airlines from the continental United States. You can also redeem AA miles on Hawaiian from Hawaii easily with tons of economy award space (but US->Hawaii->Australia would price as two awards). Unfortunately Business and First Class award space redeemable with AA miles is incredibly hard to find across the board, although it does exist. American Airlines flies more routes from the United States to Central and South America than any other carrier–by far! You can also use partner LATAM (previously LAN and TAM until May 2016) to fly pretty much anywhere you’d want to go within South America. LATAM’s award space from the United States to Peru, Colombia, Argentina, and Ecuador is pretty bad, but to Chile and Brazil. And LATAM intra-South American award space is consistently pretty good. Redeeming to Europe is not the best use of American Airlines miles because award space isn’t great, and American collects fuel surcharges on two partners to Europe. But there are routes with no fuel surcharges and good award space that you should know about. It is not the best use of American Airlines miles to redeem to Africa because award prices are high, and there is only partner you can really use while avoiding fuel surcharges (Qatar). But if you’re rolling in AA miles, Qatar does have excellent economy and Business Class award space. American Airlines partners with Fiji Airlines and Air Tahiti Nui to offer the best options to these distant Pacific Islands. Both have wide open economy award space, but for premium cabin award space you’ll have a lot better luck with Air Tahiti Nui. American Airlines is not partners with Air Tahiti, a different airline than Air Tahiti Nui which only flies a few long haul flights. To travel within French Polynesia (to places like Bora Bora or Moorea) you’ll need to purchase flights on Air Tahiti. Your mileage education is never complete. The miles and points hobby is ever evolving, so check back daily at this blog, and sign up to receive one free daily email every morning with all of the day’s posts. You should now have the basics down and can understand the more complicated posts. You can also follow MileValue on Twitter and Facebook to stay up to date. After reading this entire series you should be equipped with the knowledge to start redeeming American Airlines miles to numerous locations around the globe. So start collecting! Good afternoon! This was a great review. Thank you! 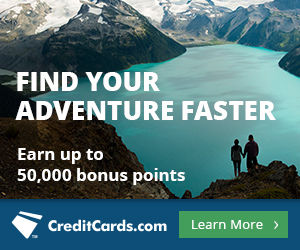 I have around $35,000 points that will expire with American at the end of 2016. I don’t plan on using them. What do you find is the best way to extend them for the 18 month period without spending a fortune or losing too many to buy silly magazines? Glad it was helpful Becky. As for keeping your miles alive, you can also easily do that through dining programs. Here’s another link to help: The Complete Guide to Miles and Points Expiration. What’s the “$” for? Just buy something through the AA eShopping portal for $1 and the miles will stay active. Can you redeem AA miles for Qatar First class? Or only for economy and business?